The beautiful lavender is in full flower now and its wonderful scent fills the air. In the background is a wonderful patchwork of bright green vines, golden wheat ready for harvest and more glorious lavender. 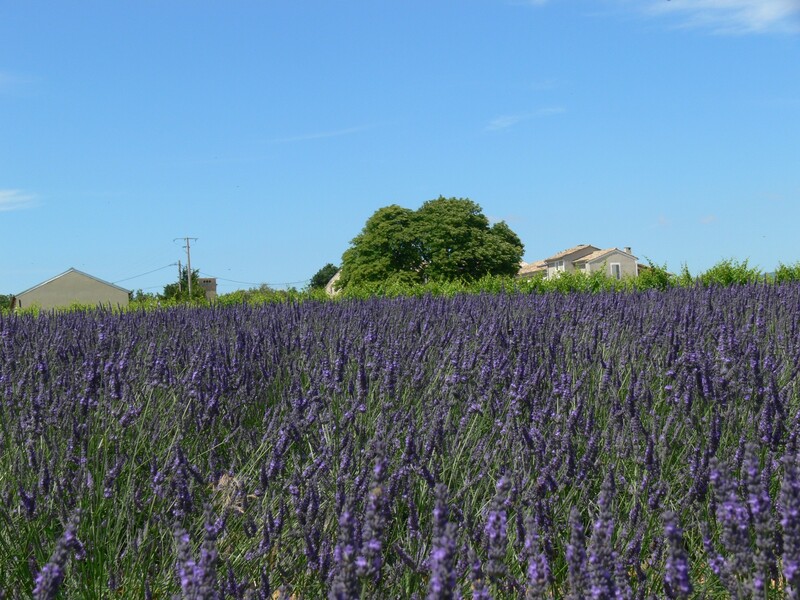 The picture above shows our neighbour’s lavender with one of our plots of grenache beyond. 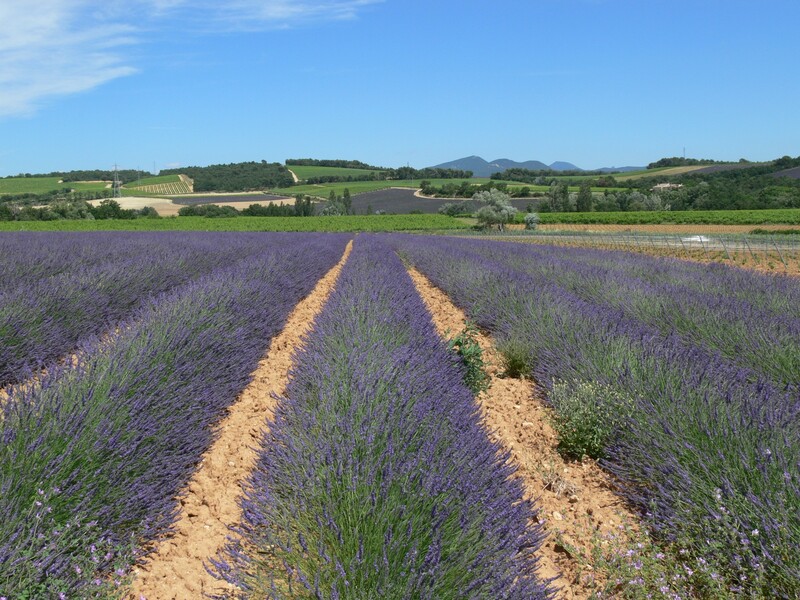 The picture below shows Domaine l’Ancienne École (with the winery on the left) nestled in a sea of lavender and vines.